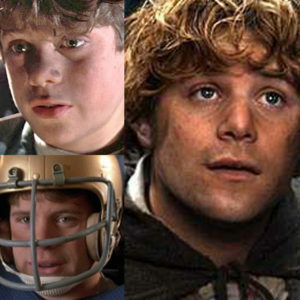 Every character he plays is memorable: Mikey (Goonies), Samwise Gamgee (Lord Of The Rings – Trilogy), Daniell Reuttiger (Rudy), Doug (50 First Dates), Bob Newby (Stranger Things) and Marcus (Forever Strong) just to name a few. Every encounter with Sean has also been memorable. Not because of who he is ON screen, but because of who he is OFF screen. Sean is always mindful of others. So much so, that he started a Twitter #hashtag that encourages runners to think of someone else while they exercise. 4 years ago, Sean and Mindy Przeor utilized the hashtag #Run3rd5k to organize an official after-school running program for youth. The first ever #Run3rd5k was born and JesterZ Improv has been the Title Sponsor since day one. Run3rd is 1st for yourself, 2nd for family and 3rd for a cause. On Friday March 23rd, JesterZ Improv will perform a LIVE IMPROV COMEDY SHOW with Special Guest: SEAN ASTIN! 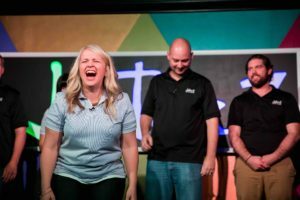 A fun and funny performance where anything can happen!! (don’t worry, this show will be ALL-AGES). This event will be held at a local High School: American Leadership Academy in Gilbert. JesterZ needs your help! We have a goal of raising $10,000 for the kids. Tickets range from $25-$125 (with a limited number of Meet & Greet tickets). 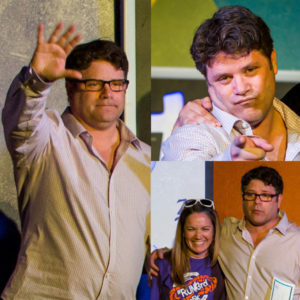 In the spirit of fundraising, we’d like to invite you to align with Sean Astin, JesterZ improv and the #Run3rd Alliance. Purchase tickets to the show, register to run or just plain make a donation. We ask for your help. THANK YOU!